If you have an Android phone, you can now use your phone or tablet as a gamepad for your PC games. 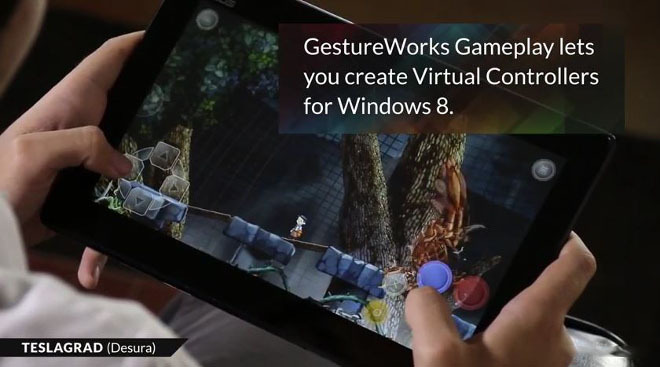 The latest update for Ideum's GestureWorks Gameplay virtual remote application will let you use an Android phone or tablet to play games on your Windows 8 machine. You'll be able to create your own fully customizable virtual controllers, and the newest update provides support for additional graphics standards, so hopefully you'll be able to enjoy more of your favorite games with the application. The full version of the app will cost you $15 only, which means you'll need to cough up the cash in order to use the virtual gamepad. It seems like a lot of money for what is, essentially, a mobile app, however, if you factor in all of the updates and support for Gameplay, combined with the fact that you won't need to pay for additional windows gaming peripherals, then it definitely starts looking like a smarter buy.